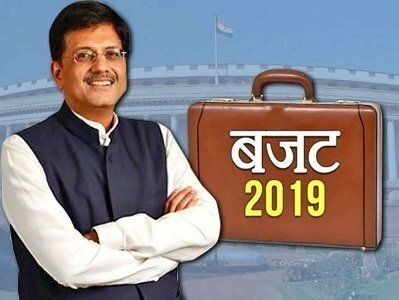 FM Piyush Goyal presented interim budget 2019-2020. Budget 2019 highlights artificial intelligence (AI), Digital India and related technologies implementation with objective to take benefits from it. Government is planning to develop ‘National Artificial Intelligence Portal’. This decision comes at time when Foxconn Technology has expressed their interest to develop Advanced Industrial Artificial Intelligence Research and Development Center in India. In his speech Mr. Goyal Said, “In order to take the benefits of Artificial Intelligence (AI) and related technologies to the people, a National Programme on ‘Artificial Intelligence’ has been envisaged by our Government. This would be catalysed by the establishment of the National Centre on Artificial Intelligence as a hub along with Centres of Excellence. Nine priority areas have been identified. A National Artificial Intelligence portal will also be developed soon”. “Government has undertaken many effective steps to strengthen MSME sector, which provides employment to crores of people. Recently, a scheme of sanctioning loans upto Rs 1 crore in 59 minutes has been launched. GST-registered SME units will get 2% interest rebate on incremental loan of Rs 1 Crore. The requirement of sourcing from SMEs by Government enterprises has been increased to 25%. Of this, the material to the extent of at least 3% will be sourced from women owned SMEs”- He Said. “The Budget 2019 acknowledges the pivotal role of digital technology in India’s evolution to a five-trillion dollar economy over the next five years. Budget proposals such as those on artificial intelligence, one lakh digital villages and the thrust on RFID usage will not only fuel entrepreneurship, but also unleash enormous job opportunities. In addition, with the continued momentum on digitizing transactions using Aadhaar and the need for real-time monitoring and evaluation of effectiveness and efficiency of various government schemes, the critical role of cyber security resilience and data protection towards fostering and inculcating trust cannot be over-emphasized. “With the Interim Budget 2019-2020, Government has announced to strengthen the Sagarmala Project which is a positive step towards transforming the nation through port modernization. The emphasis on port development will give a further impetus to PM Modi’s vision of Ease of Doing business in India.As per the World Bank report 2019 on Ease of Doing Business, India has taken a huge leap of 23 ranks from 100 in 2017-18 to 77 in 2018-19 indicating it is continuing its steady shift towards global standards. We welcome government’s push for ‘Trading across borders’ which shows an impressive improvement from 146 rank last year to 80th rank this year. Upgradation of port infrastructure, improvement of processes, and digitization of document submission has not only reduced Export/Import cargo handling time at ports but has significantly contributed towards improving the trading across border parameter and India’s impressive growth in the World Bank’s report. We hope that the government’s focus on development of port infrastructure and capacity enhancement, improvement in last mile connectivity and development of multi-modal hubs to promote EXIM while reducing logistics cost and time will prove beneficial for the Indian economy in the long run thereby making India a global power house. We believe that initiatives like installation of Radio Frequency Identification (RFID) system at Major Ports to enhance security and remove bottlenecks for seamless movement of traffic across Port gates; DMICDC’s Logistics Databank system (LDB) deployment for tracking & tracing movement of EXIM container in the Major Ports thereby enabling the consigners and consignees to track the movement of the containers from LDB portal and Direct Port Delivery (DPD) and Direct Port Entry (DPE) enabling direct movement of containers from factories / port without intermediate handling requirement, thus saving cost & time will help in fulfilling government’s vision of Ease of Doing Business in India”. “The Government’s effort towards using advanced technology like AI for masses is a welcome step. AI has been one of the biggest technological advancements in the recent past. The government’s vision of developing a national program on AI will set the implementation process in motion and help people and government immensely. Identifying priority areas for AI hubs will streamline the development work in the AI domain and give a certain direction to the start-ups working on this technology. All these efforts will promote the use of technology and digitization and play an important role in the development of the economy”. more operational airports and doubling the passenger traffic. upcoming Vande Bharat Express train announcement. “This budget 2019 is providing major boost to real estate segment through fiscal incentives like extension of benefit Under Section 80 IBA, no tax on notional rent on unsold inventory for two years, no notional rent on two self-occupied properties instead of one. Additionally, direct benefit of INR 6,000 to small farmers will provide positive sentiments and will have a positive cascading effect on GDP growth. We welcome the step to promote AI hubs in India which will help to build technical competence and have a long-lasting impact from the technology point of view for the future of India. “The one thing that stood out in the Budget 2019 is the putting up of the Vision 2030. While there are no details available as yet in terms of the implementation of this vision the fact that the government is thinking long term is well appreciated. The focus on the Digitization will go a long way in improving the social and economic fabric of the country – be it creation of jobs, uplifting the lower end of the society reducing the income gap and many more. The announcing of the 5 Lakh Digital Villages is really welcome. It will go a long way to leverage the benefits of technology right up to the grass root level. Especially in a country like India which has always been challenged from a penetration of technology this will be a big boost. Also, another good thing that we got from today’s budget is Income Tax returns being processed within 24 hours. While one needs to wait and watch in terms of the practicality of this but it’s a welcome move in the right direction”. institution like the central government.